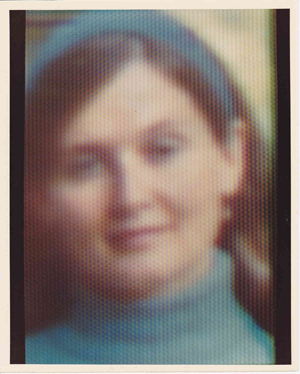 The first digital colour image, as featured on the cover of Electronics Magazine, was taken by physicist and inventor Michael Francis Tompsett in 1972. Tompsett was a researcher at English Electric Valve Company (EEV now E2V) in Chelmsford. 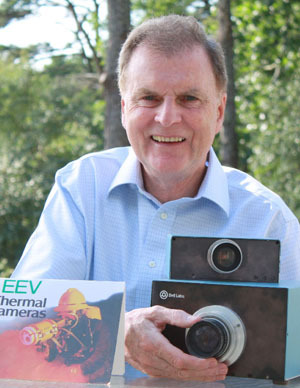 In 1968 Dr Tompsett invented the un-cooled Pyro-electric thermal-imaging camera tube. He also invented a solid-state version, which is now the basis for thermal imagers made today used by the military for night-vision, by firefighters to see through smoke, and for other search-and-rescue and civilian uses worldwide. Tompsett moved to Bell Laboratories USA in 1969 to develop solid-state cameras. Shortly after joining, Boyle and Smith, also at Bell Labs, came up with the Charge-Coupled Device, CCD, concept to digitally store serial memory. This concept was not pursued by Bell but Tompsett saw the potential of CCD for image grabbing. He exploited the device’s potential for digital imaging and, together with his team, developed a series of CCD cameras and produced the first pixel CCD colour image. In 2017 the four pioneers of digital photography were recognised with the prestigious Queen Elizabeth Prize for Engineering. 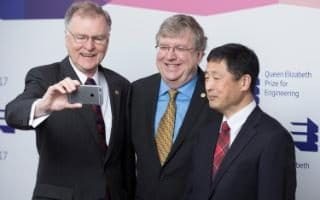 Michael Tompsett, Eric Fossum, George Smith (not pictured) and Nobukazu Teranishi.